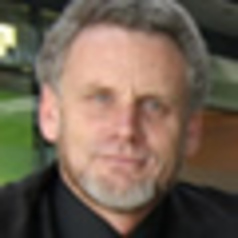 Dr Jeff Kenworthy is Professor in Sustainable Cities in the Curtin University Sustainability Policy Institute (CUSP) at Curtin University in Perth, Western Australia and Guest Professor at Goethe University and the University of Applied Sciences in Frankfurt, Germany. Professor Kenworthy teaches courses and supervises postgraduate research students in the area of urban sustainability. He has over 33 years experience in urban transport and land use policy with over 200 publications in the field and has lectured in 27 countries and 74 cities throughout the world. His most well-known book is Sustainability and Cities: Overcoming Automobile Dependence (Newman and Kenworthy, 1999). He is particularly noted for his international comparisons of cities around the theme of reducing automobile dependence. His most recent research involves updating of comparative urban transport data in some 50 cities around the world, examining the prospects for electro-mobiity in Germany, application of the global cities data to a study of mobility cultures in megacities in collaboration with the Technical University of Munich and IFMO/BMW and the future of mobility in BRIC countries in association with IFMO in Munich and STRATA in Karlsruhe. His expertise in international comparative data lends itself well to benchmarking studies of individual cities or groups of cities, examining their land use and transport strengths and weaknesses, as well as future possibilities and priorities for a more sustainable transport system. To this end he has worked for Swiss Federal railways comparing Swiss cities with other relevant cities in the world. He has also compared Melbourne with its peer cities as part of a major strategic metropolitan planning exercise in that city. His most recent book is entitled An Introduction to Sustainable Transportation: Policy, Planning and Implementation (Schiller, Bruun and Kenworthy, 2010).